‘Analysing argument’ isn’t just an outcome to tick off a list; it’s an essential skill for navigating both public and private discourse and for helping students develop well-informed opinions. ‘You Are Not So Smart’ is a brilliant blog and podcast, by US writer David McRaney, that explores common misconceptions about how humans think and what we believe to be true. The current season is dedicated to exploring logical fallacies. The first two episodes have already gone to air (#67 discussed the concept of fallacies, and #68 focused on the strawman argument) with more to follow, including #69 The Black and White Fallacy. This is important listening for Year 10 and 11 students who are required to explicitly discuss the construction of arguments in their media analysis; it is also useful for Year 12 students, as understanding fallacies will help them construct their own arguments in a more logical manner. This podcast would also be fantastic for IB Theory of Knowledge classes, or for passing on to colleagues who are interested in using critical thinking techniques in their subject areas. This podcast is great for flipped classroom activities but the language is reasonably sophisticated so EAL students will need some pre-listening activities and vocab for added support, as will some Year 10s and 11s. You probably couldn’t use the whole podcast with students younger than Year 10, but you could easily play excerpts or use it to refresh your own understanding of argument. Scroll down for a concise content breakdown that will help you to assess if this resource is right for your school context or class, and for a free downloadable PDF of guiding questions and activities. Don’t be daunted if this is new territory for you or if some of the activities and questions seem to be very complex for Years 10 or 11; they are well-scaffolded by the clear explanations and easy to follow analytical processes modelled in the podcast. Author information: David McRaney is a journalist, based in Hattiesburg, Mississippi. Podcast contributors are cognitive psychologist Barbara Drescher; Jesse Richardson, creator of ‘Your Logical Fallacy Is’; and writer and radio host on the PBS Ideas Channel Mike Rugnetta. Year 12 English/EAL: Using language to persuade – techniques for the critical analysis of ideas, arguments and evidence presented in persuasive texts (2017 Study Design). The podcasts would also help 2016 Year 12 students evaluate the argument they are presenting in their point of view SAC to ensure it is logical and well developed. 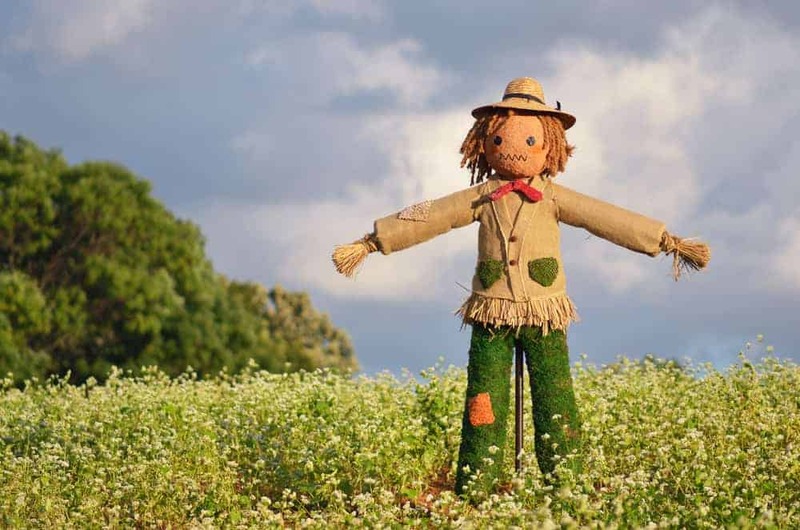 #068 ‘The Strawman Argument’: explores the use of the strawman argument, including how to identify one and examples of how to deconstruct the way they position audiences. Content: some sites linked to the blog criticise conservative religious traditions and belief in God. Additional elements: includes some great additional links, including those listed below. Your Logical Fallacy Is: key definitions of types of logical fallacies, including a free downloadable poster about fallacies, created by Jesse Richardson, Andy Smith, Som Meaden, and Flip Creative.